Testing, testing...is this thing still on? One of my favorite challenges (or more accurately, things I do for the approval of Internet strangers) from last year was The Errandonnee, 12 days in which participants complete 12 errands by bike or by foot. This year it runs March 20-31, right around the corner! Anyway, I looked back at my log from last year's challenge and thought it might be interesting to copy it down here. So this is that! 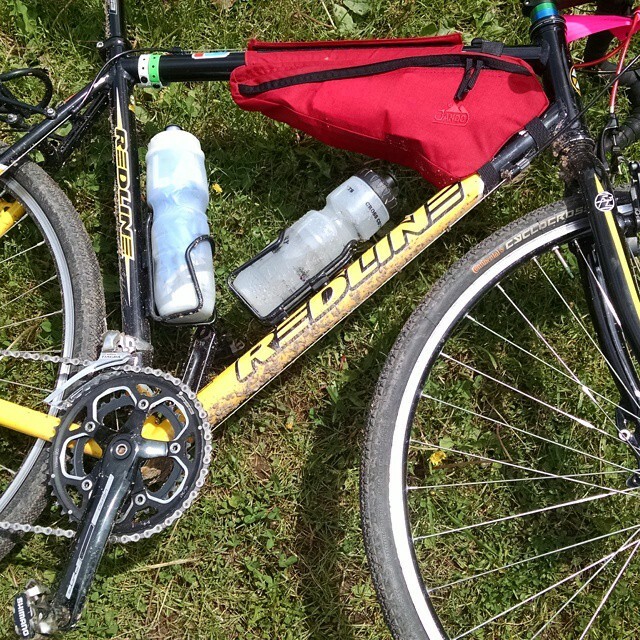 Category: You Carried WHAT On Your Bike? Observation: Carrying something as delicate as a cake works best when you can keep an eye on it. I put a front basket on for this trip, and the cake survived nicely. Observation: It feels great to roll along at a casual pace. I usually ride faster than I need to, and probably miss a lot. Observation: Pulling a trailer with a fuel can on it handled just fine. It didn't seem to make a difference whether the can was full or empty. Climbing is slow and descending is fast with a trailer either way. Observation: In dense fog you can still hear cars even if you can't see them. Another eerie but awesome bit of weather to bike in. Observation: Biking to unexpected destinations is a good conversation starter. Observations: (6) I think a bike is faster through a drive-up ATM than a car, even with fumbling around with gloves and my wallet being hidden somewhere in my frame bag. (7) We were out of wet cat food, not the dry food I bought. Oh well. Observations: (8) Lunch drivers are in a hurry. (9) I buy more when I've biked to pick up lunch. Observation: There were at least two other bags of donated goodies waiting outside the humane society today (they were closed this morning). It's great to see so much support for the shelter. Observation: Don't count on the forecast. Observation: I'm really looking forward to seeing more people out riding and running and walking. Definitely getting to be the season. 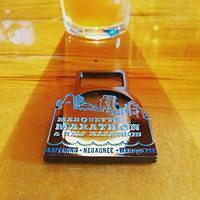 Marquette Marathon: I am bad at training. Hey, let's just look at a goal I set for myself and then actually wrote down. But I'm okay with it because I know why it didn't happen. I made the mistake of depending too much on my cardio fitness and not enough on getting the actual miles in my legs. Heat may have played a small factor, but not enough to make up for my disastrous splits in the final miles. Things were going pretty well for the first 19-20 miles. 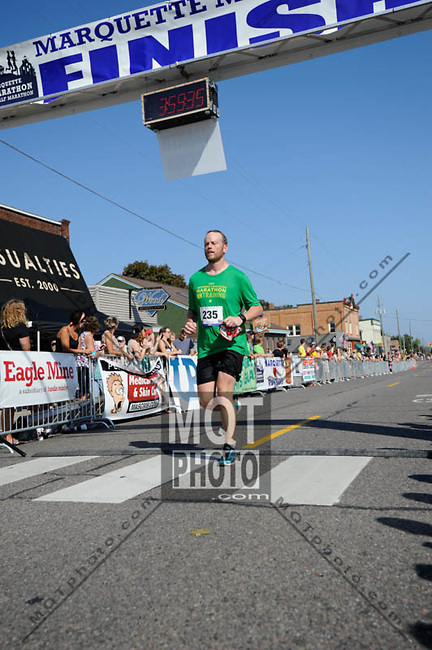 I was off my pace a bit but still averaging 8:40/mile at that point. I had gained a bit during the downhill from 11 to 16, but could feel my legs tightening even then. By 20 I knew it was going to be a struggle. I started walking aid stations, something I never do. Then I stopped to stretch, which helped a little. But I was just putting so much energy into fighting my legs I couldn't keep my pace up no matter what I tried. It felt like the wrong muscles were firing in my legs, and all of them pulling against each other. 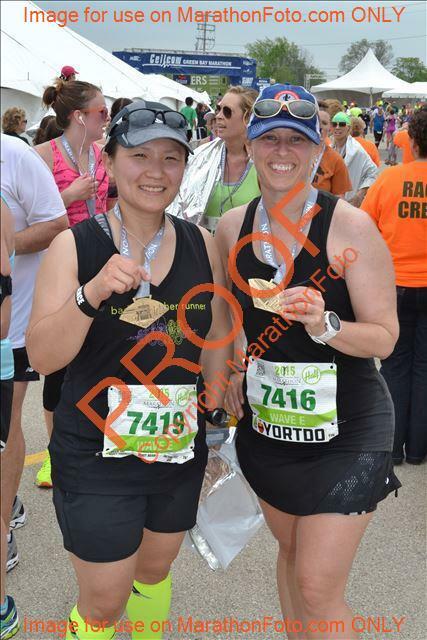 Thanks to Nancy cheering me on at the finish I did squeak in under four hours with a 3:58:59 official time, but it wasn't pretty. Unlike Cellcom I didn't feel utterly wiped at the end, but my legs were useless for a while after. Anyway, Twin Cities Marathon is in a month, and I know what I need to do. Run. What's the longest you've ridden? 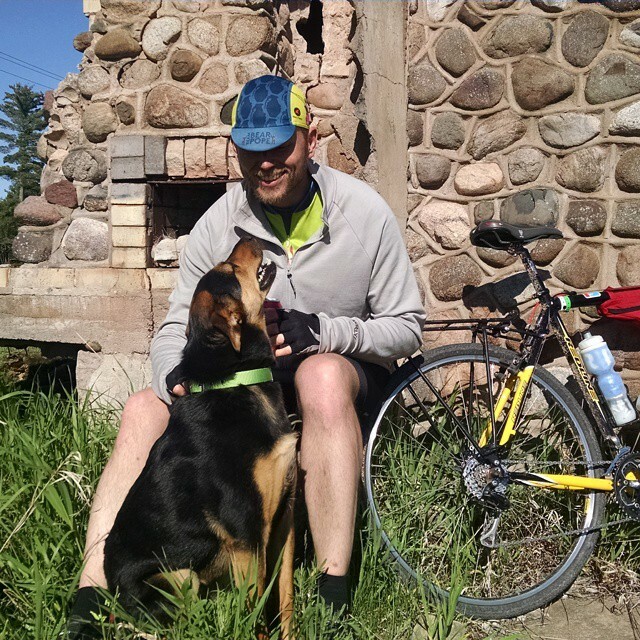 I've been mulling over what I learned or observed during this ride, especially since I'm thinking about a double century soon, possibly from home to Wausau, WI in one shot. Breakfast. Eat a bigger breakfast. The usual race-day oatmeal prep (steel-cut oats with maple syrup, banana, almonds, etc.) would probably last a lot longer than the spruced-up greek yogurt I had for this ride. Chews. When I was flagging, the only thing that really picked me up again was Shot Bloks or those gummi fruit slice things. And I found that I was craving those the most. Carry more of this junk. Regular breaks with stretching. I split the ride into 10-20 mile chunks, which worked fine, but I really need to force myself to stop when I'm planning to stop. And stretching needs to happen at each break, because holy wah was I tight after that ride. Spare socks, gloves. If it rains, the only wet things that truly bother me are socks and gloves. Easy enough to carry a dry pair of each. Diversion. There were boring stretches. Sometimes I just can't bring myself to look at nature and think "ooh pretty" or sing along with the same song that's been in my head the entire day. A bluetooth speaker might be worthwhile for listening to a podcast or the news along the way. GPS. No GPS I own has a battery that lasts longer than 8 hours or so. There will be recharging involved, unfortunately. This means either carrying a battery pack or finding a place to plug in during my breaks. Boot. I sliced my tire right at the end and had the first flat in recent memory, which would have sucked halfway through the ride. I had paper money for use as an emergency boot, but splurging for an actual tire boot wouldn't be a bad idea. Chain lube. I used the last of the little sample tubes of chain lube after it stopped raining, so it was definitely worth having along. 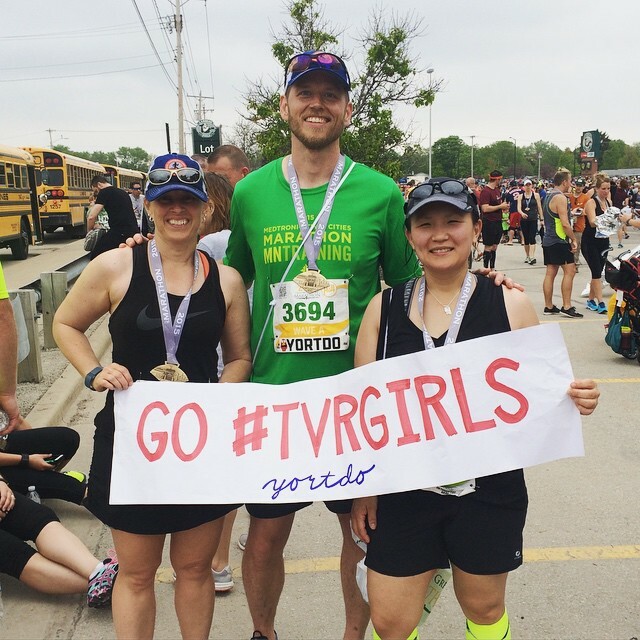 Training for this race was one of the most rewarding things I've done. Every week it seemed like I was pushing my abilities, right on the edge of doing too much. 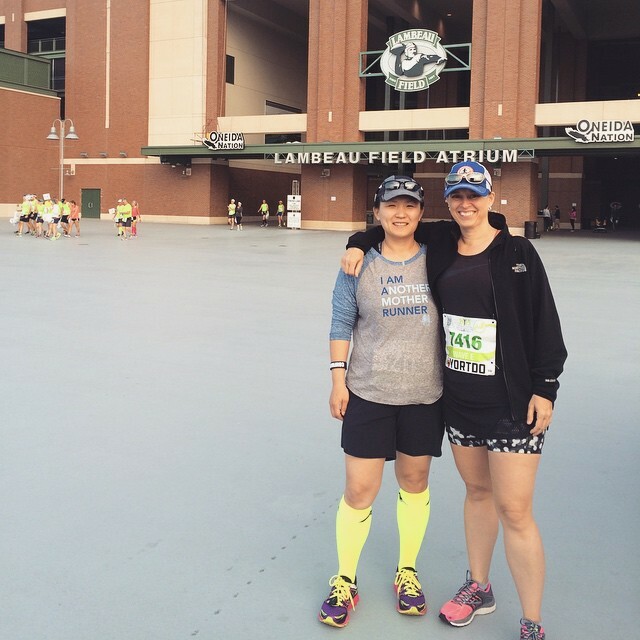 In the end, I covered 410 miles over 58 days, averaging a 8:52 pace. Helping Bryant with his training kept me more disciplined than I've ever been, and I really thought I would achieve my goal time. The weather had something else in store for me. Not that it wasn't possible to run in the high humidity and moderate winds, but I just didn't have the warm-weather training to support it. The race was under "high alert" due to the conditions, and I couldn't eke out the few extra seconds per mile I needed to hit 1:45:00. My heart rate was in the red zone too long for me to pick up any time at the end, even though my legs were willing. I ended up with an official time of 1:45:37 (8:03 average pace), 34th out of 292 for my age group, and 220th out of all 1808 males. One of my unstated goals was to hit the 80th percentile for both age group and gender, and I was happy to find that I was in the 88th percentile for both. 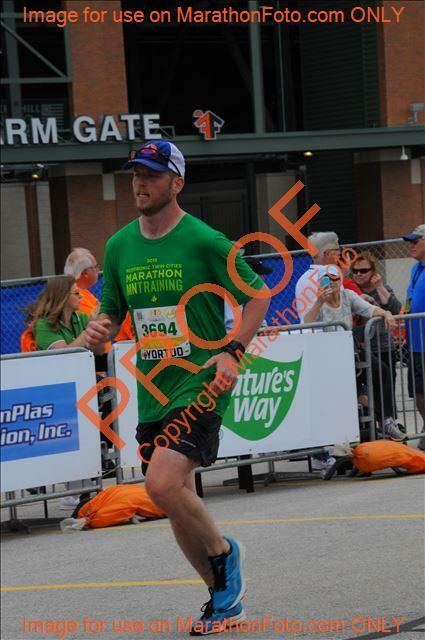 Last year's 1:53:03 put me in the 68th and 69th percentiles, respectively. But enough numbers. 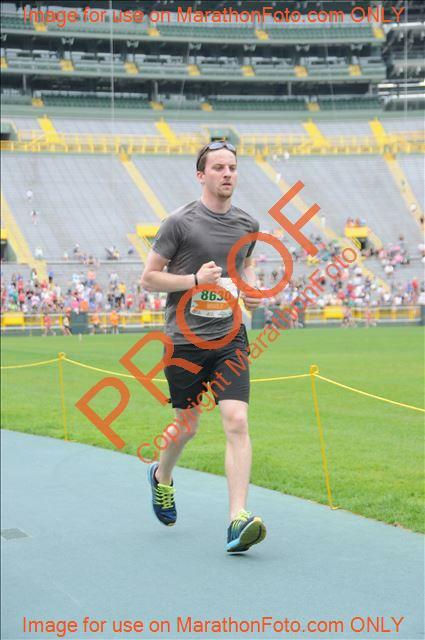 My real success in this race was being a part of team /var/run. Nancy, Amy, Bryant, G, and I celebrated like the professionals we are. And now please enjoy photos of people suffering and/or having fun. 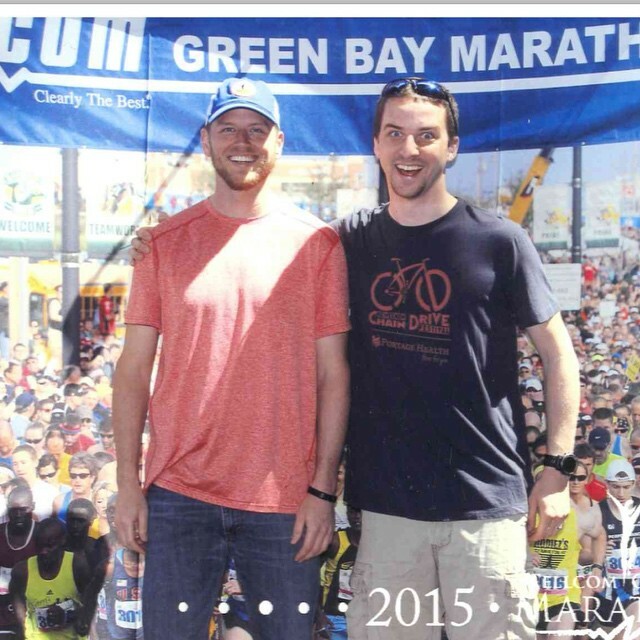 Since it seems to be going well so far, I'll share the training plan I'm using for Cellcom Green Bay Half Marathon in May. It's the Runner's World Break 1:45 half marathon plan, which I found on their site as a PDF (but they now charge $30). Contact me if you want a copy. It's a 10-week plan that assumes a base of about 30 miles per week. I filled in two weeks at the beginning as a ramp-up, and have been enjoying the plan so far. It's aggressive (for me) in both pace and mileage, and I'm optimistic that it'll put me in a place to meet my 1:45 goal. Here's the plan with some adjustments for my own schedule. 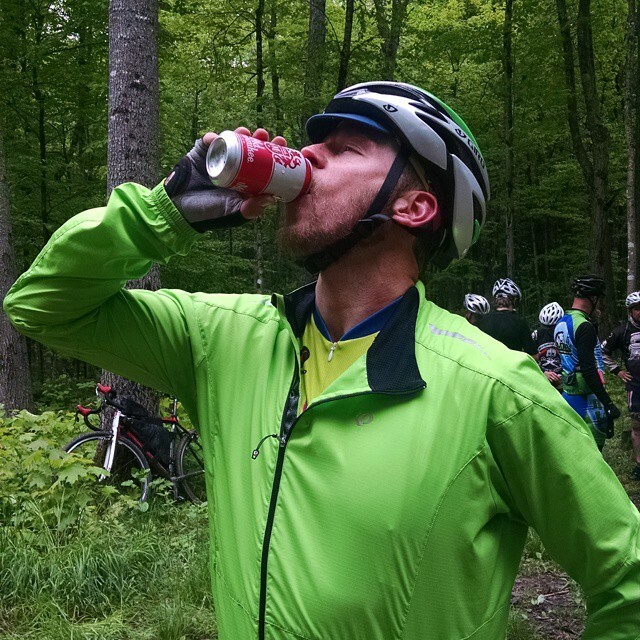 With Cellcom coming right up, I've been working on a training plan that will take me through Canal Run in July to Marquette Marathon in September, with some of the other stuff I'm doing in the meantime (a bike tour and a couple of bike races). Here's what I have now, based on something between Higdon's Intermediate 2 and Advanced 1 marathon plans. 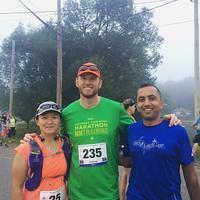 Four weeks after Marquette Marathon is Twin Cities Marathon. So do I just stop running and eat cheetos in between? Higdon has a nice plan for not doing that. Training is going well so far, and if I can keep from serious injury, I think I'm on target to hit 1:45, which is an 8:00 minute/mile pace. Thinking forward to fall full marathons, I'm really just guessing at target times. I'd like to do both Marquette Marathon (September) and Twin Cities Marathon (October), though that does seem a little ambitious. Beyond that, the only other running races on my calendar for sure are the Canal Run in July, and of course the Fifth Annual runningchunk.com 5K in September-ish.